Talking to ToyNews Magazine, Marvel spoke about their toy plans for the post Avengers brands and licenses. Check out the statement below. The success of Avengers Assemble last year is being supplemented by fresh activity in 2013 and beyond to drive kids into toy stores. Marvel has told ToyNews about its Avengers sustaining programme and plans for fresh animated TV series, to prolong consumer interest and get them buying new toys.For example, the Ultimate Spider-Man TV show will get a second season early this year on Disney XD, as season one goes free-to-air. Then the Iron Man 3 movie arrives in April, the Avengers Assemble animated TV show follows in mid 2013 and Thor: The Dark World hits cinemas in November.In between these big movie releases, other TV seasons will arrive to provide kids with fresh content, which will aim to keep toy sales strong throughout the year. “Retailers and licensees can be ensured that backing a Marvel franchise comes with content that will be consumed every day,” Disney’s general manager of consumer products EMEA Simon Philips told ToyNews.”For example, we have an Avengers sustaining programme. No one else has that. There is no other superhero or boys franchise that can claim to have event movies, a constant animated series and all the other activity going on behind these brands.He added: “The big thing is that Marvel is all about constant content driving franchise. If you don’t, kids move on very quickly.” If the sales are in a supermarket and the average shopper goes in twice a week, they need to see something new. A Disney statement added: “Released in April 2012, the acclaimed Marvel’s The Avengers has taken over $1.5 billion at the global box office, becoming the fourth biggest film of all-time and Disney’s highest ever grossing film globally.”In the period from January 2011 through to June 2012, the total sales in the UK for Marvel toys increased by 181 per cent year on year (NPD 2012). Discuss on the Toyark Forums› Views: 3439 › Credit: NIBMRatchet of the Toyark Forums! Marvel has told ToyNews about its Avengers sustaining programme and plans for fresh animated TV series, to prolong consumer interest and get them buying new toys. For example, the Ultimate Spider-Man TV show will get a second season early this year on Disney XD, as season one goes free-to-air. Then the Iron Man 3 movie arrives in April, the Avengers Assemble animated TV show follows in mid 2013 and Thor: The Dark World hits cinemas in November. In between these big movie releases, other TV seasons will arrive to provide kids with fresh content, which will aim to keep toy sales strong throughout the year. �Retailers and licensees can be ensured that backing a Marvel franchise comes with content that will be consumed every day,� Disney�s general manager of consumer products EMEA Simon Philips told ToyNews. �For example, we have an Avengers sustaining programme. No one else has that. There is no other superhero or boys franchise that can claim to have event movies, a constant animated series and all the other activity going on behind these brands. He added: �The big thing is that Marvel is all about constant content driving franchise. If you don�t, kids move on very quickly. �If the sales are in a supermarket and the average shopper goes in twice a week, they need to see something new. �Our goal from a licensing standpoint is to have a constant presence at retail for Avengers. �When Iron Man comes out, it will expand to absorb the Iron Man merchandise, and then the same will happen with Thor comes out and so on. 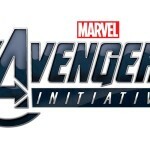 A Disney statement added: "Released in April 2012, the acclaimed Marvel�s The Avengers has taken over $1.5 billion at the global box office, becoming the fourth biggest film of all-time and Disney�s highest ever grossing film globally. "In the period from January 2011 through to June 2012, the total sales in the UK for Marvel toys increased by 181 per cent year on year (NPD 2012)." So am I misunderstanding this, or is this basically saying that the Iron Man 3 toys that we all thought we would be getting (3.75" figures with reasonable articulation/detail/etc...) will be coming out as part of the Avengers line instead of in a separate line of their own? Or is it basically just saying that despite all the product saying "Iron Man 3" Hasbro just considers it all to fall under the "Avengers" umbrella? 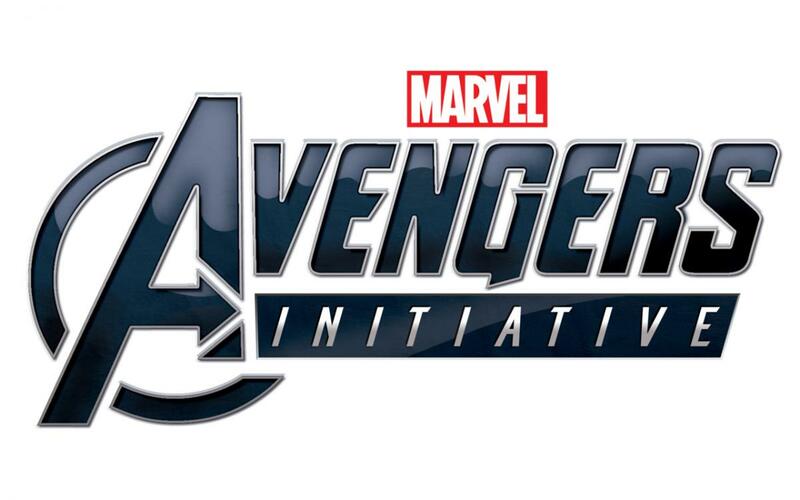 Everything is going to come under the "Avengers Initiative" banner with regards to the specific lines. Check out the packaging on some of the Funko items for an example. This was a Marvel interview, not a Hasbro one. They were specifically talking about items that tie into shows and movies. Yipeeee!!! New shows that will air for only 2 seasons and leave us with our thumbs sticked up our @#!! I wish they were more cohesive and consistent on what they do. Take for example Avengers Worlds Mightiest heroes; they make a great tv series with pretty much a big audience and then they they cancel it! (ok, they are consistent on cancelling thing, but you get my point). And all for what? To release some happy meal figures with senseless color variants and stuff, which are supposed to be designed for kids, but that at the end don�t end up selling very well? In my opinion they don�t know what to do with good cartoons, they could definitely exploit them more and in a different ways. Ah. More of a sales pitch for retailers is what it sounded like than actually discussing their retail plans. Thats what I got out of it too. "Marvel is great! Buy our stuff!" Except that they're kinda lying. There's a little Avengers symbol in the corner of the IM3 packaging. There has been no new Avengers toy product for the entire last quarter of 2012 and nothing scheduled 2013 except an animated line somewhere down the road (summer?). Granted, we'll see their plans revealed at Toy Fair in a couple of weeks. I'm not sure how they can say they're the only ones with merchandise, cartoons, and movies coming out when WB has been doing that with Batman for decades. "The success of Avengers Assemble last year is being supplemented by fresh activity in 2013 and beyond to drive kids into toy stores". I'm okay with that attitude, I just wish companies would stop treating kids like... children! Kids aren't stupid. They'll take figures with less articulation until they see the alternative. Once kids (and adult collectors) get the articulation bug, it becomes the standard. Sounds nice, but what about the Iron Man 2 and Thor figures that are still rotting on pegs everywhere? We're talking about Hasbro here. The average shopper is lucky to see something new every 6-8 months. The only thing the average shopper is going to see are empty pegs where the figures were supposed to go. Normal hype speak. Doesn't really say much other than "We will continue to pump marvel figures out for the comics, movies, and toons." Which isn't surprising since MU is even getting an avengers 3 pack eventually. I'm not sure if avengers assemble will get a toy line though, that's dependant on ultimate spidey toy sales. We might see more Avengers in MU though later. Unless ultimate spidey does well in toy sales, then they might try, but I doubt it. There best bet is the cast via MU figures tbh. i had this crazy idea.. maybe rather than releasing 20 different repaints/remolds of iron man, maybe some of the other characters in the next movie could have a prominent role on the shelves. and something tells me that we're not going to see any wrist articulation on the 3.75" figures. hell.. at this point i wouldn't be surprised if they only had shoulder swivels. it's funny.. i always assumed that price increases helped hasbro keep their products' quality high.. but no, we see higher prices and decreased quality. I wish Hasbro/Marvel would do a qa and customer satisfactory report on a monthly/yearly basis and review all toys, and filter out the crap. They can see that MU and ML sell and that ppl love the figures, even superhero squad serves a purpose. But some of these non articlated 10'' figures and 3.75'' figures is just a waste of plastic, $$ and lazy design work overall. It's like buying toys from a dollar store, except they cost $10 and have marvel packaging slapped over it. Give me good legends and other 6'' figures and I will continue to buy and support, but keep pumping out crap and I stop opening my wallet. Adjust the movie lines once out of theaters to carry Avengers Assemble toon influenced toys since that's a combination of movie, ultimate and 616 anyway. Then do movie focus again during DVD release, then back to toon. Rinse and repeat for every Marvel movie while MU sticks to comics only. Then have the experimental side lines per movie, like assemblers. That'd be ideal at least. Somehow I don't see it happening though. We'll end up with flooded aisles of merchandise of all kinds, that'll start to recreate the 90s Toy Biz bust when the market fell out from under them. That's why they need to rein in what they are doing some so it's not overwhelming but also keeps merchandise at a steady flow. Guess we'll have to wait and see for Toy Fair. Should be a doozy.